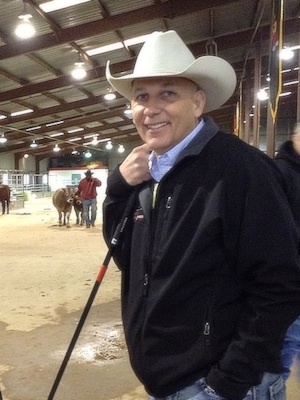 Tim Smith of Giddings, Texas, has been elected by the American Simmental Association (ASA) Board of Trustees to serve as chairman of the association for 2018. As owner/operator of Smith Genetics, Smith has been affiliated with Simmental and Simbrah cattle for more than 35 years. His operation includes 300 Simmental, Simbrah and SimAngus females. In addition, Smith operates a custom artificial insemination and embryo transfer center. Smith has built his program on strong cow families lines and utilizes performance testing I his herd. The cattle operation participates in the ASA’s Total Herd Enrollment (THE) program, as well as utilizing EPD data as part of their management plan. Smith Genetics shows cattle on a state and national level and he is an advocate of the show ring and junior programs. His involvement with SimGenetics started in 1980 after completing a Master of Science in Ruminant Nutrition from the University of Kentucky and he has spent his lifetime building his program and promoting SimGenetics. Smith co-founded the Simmental-Simbrah Superbowl, an event that has awarded more than $750,00 in prizes, monies and scholarships to junior SimGenetic exhibitors over the past 25 years. He also hosts and coordinates the Simbrah Synergy, which features a sale with genetics from some of the most progressive Simbrah breeders, as well as a junior show that awards $15,000 in prizes and monies, plus the event includes leadership contests for juniors. In May, Smith Genetics hosts a weekend junior leadership and cattle exhibiting camp to assist juniors in showing and building their breeding programs. Smith has served on the ASA Board of Trustees since 2012 and has served as treasurer on the ASA Executive Board. He is a former chairman of the ASA Simbrah Advisory Committee and has spearheaded several promotional events, fund raising efforts and promotional campaigns for the Simbrah breed. He is involved in many facets of the beef industry including an active member of the Texas Simmental/Simbrah Association, the Texas Southwestern Cattle Raisers Association, Independent Cattlemen’s Association, and Texas Farm Bureau. Smith is joined in ownership of the cattle program by Joel Isgrig and his daughter, Haley Smith.